For all of us, there are certain things we don't like to read in stories and novels, and things we don't like to see or hear in movies. One of those, for me, is southern dialogue that just doesn't sound right. Part of it's the accent, which is almost never believable (unless spoken by Billy Bob Thornton, who sounds exactly like my next-door neighbor)--and part of it's the writing. - A large stream is a creek. We don't say crick, even though Hollywood thinks we do. - The noon meal is dinner, not lunch. The evening meal is supper. This rule, like some of the others, gets diluted a bit the closer you get to a city. - You don't run in sneakers, or even in running shoes or jogging shoes. They're tennis shoes. - When you pray together before a meal, you "say the blessing." - A fellow is not a fell-o. He's a fella. Also, yellow is yella and an arrow's an arra and a window's a winda. 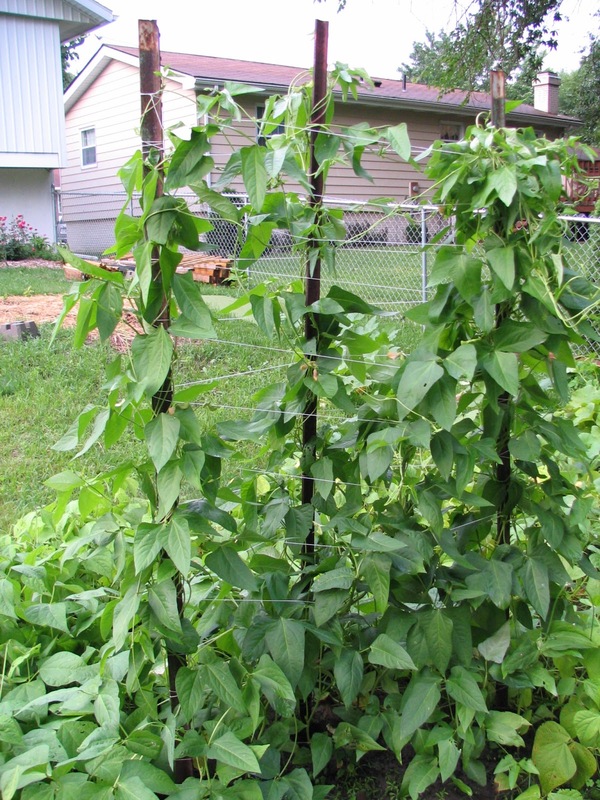 - Garden beans that grow close to the ground (rather than on poles) are bunch beans, not bush beans, no matter what the label says. And pole beans are pole beans. - Vegetable gardens aren't called vegetable gardens. They're just gardens. - Flower gardens aren't called flower gardens, or gardens. They're just flowers. - You don't say or write "Ms." with a lady's first name. It's Miss Mary, never Ms. Mary, even if she's married and has ten kids. It's a familiarity, like Miss Ellie in Dallas. - When you say you'll be there "directly," it means you'll be there soon. - "Don't be ugly," doesn't mean what it sounds like. It means "Be nice." - "Once in a blue moon" means almost never. - You don't chuck something out the window. You chunk it out. - "Hey" is used more than hello or hi or any other greeting, even when relayed: "Say hey to your mama for me." - When you hug someone, you "hug her neck." This can also be a relayed greeting: "Hug her neck for me." - When someone passes out, usually from the heat, he "done fell out." There's even a shortened version: "I heard Miss Sally DFOed." - If you clear a field of briars and bushes and underbrush, you bush-hog it. You don't brush-hog it. This comes from the name of the rotary mower you use to do it. - Pajamas are pa-JOMMas (rhymes with Bahamas), not pa-JAMMas. - Pecans are pronounced pa-CONNs, not PEE-canns. Though in some parts of the south (the Carolinas, maybe?) this doesn't hold true. - Dogs are dawgs, not dahhgs; on is own, not ahhn; route is rowt, not root; either is EE-ther, not EYE-ther; oil is AW-ul (two syllables), not AW-ee-ul (three syllables); and school is SKOOL (one syllable), not SKOO-wul (two syllables). We try to cut back on those unhealthy syllables whenever possible. - Yankees are folks who live north of the Mason-Dixon--and sometimes folks who live anywhere north of where you live, no matter where you live. - "Y'all" is always used to address more than one person--never a single person--except in certain parts of the south and in all movies made by Yankees. - If you look really tired, you've been "rode hard and put up wet." - Other common southern expressions: slow as molasses, just fine and dandy, happy as a dead hog in the sunshine, gimme some sugar (kiss me), hissy fit, conniption fit, and Little Miss Priss (a young lady acting too big for her britches). The only other things I can think of are the pronunciations of place names. Biloxi is bi-LUCK-see, not bi-LOCK-see; Grenada (city and county) is gra-NAY-da, not gra-NAH-da; Kosciusko (where I went to high school) is kozzy-ESS-ko, not the Polish koz-SHOOS-ko; Amite is a-MITT, not a-MIGHT; and Yazoo (city, county, and river) is YAZZ-oo, not YOZZ-oo; Pass Christian is Pass kris-chee-ANN, not Pass KRIS-chee-un; Shuqualak is SHOO-ka-lock; and Gautier is go-SHAY. The mispronunciation of these, especially by new TV weathercasters, is a mortal sin, and might get you transferred to Point Barrow, Alaska. As for places outside my state but still nearby, New Orleans is new-WOLL-uns, not new-or-LEENS; Thibodaux, Louisiana, is TIB-a-doe; Natchitoches, Louisiana, is NACK-a-tosh; Kissimmee, Florida, is ka-SIM-mee, not KISS-a-mee (or gimme some sugar); Nacogdoches, Texas, is nack-a-DOE-chez; Ouachita Mountains in Arkansas is WASH-i-tah; Arab, Alabama, is AY-rab; Dacula, Georgia, is dah-KEW-lah; and Milan, Tennessee, is MY-lin. At least that's the way I've always heard them pronounced. 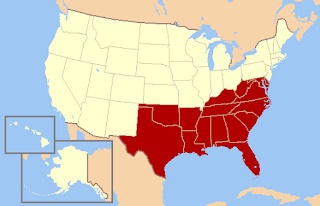 NOTE 1: Please inform me of any corrections to my above rules of southern speech, because--once again--I know some of them vary depending on where you live. Seriously, though, if you asked the owner of a grocery store here for pee-cans, he'd probably point and say "Down the hall to the left." A question for those of you from other parts of the country: Do you have pet peeves involving accents and pronunciations and expressions? What are some of your "regionalisms?" Does it bother you when, in the movies, somebody who lives in Minnesota talks like a Georgia hillbilly, or an Indian scout in the 1880s has a Brooklyn accent, or a native of Boston says he's going to park the car instead of pahhk the cah? Let me know. Meanwhile, I do declare, I'm finally through. We done plowed this field and it's time to rest the mule. Y'all say hey to your families for me and hug their necks. I'll be back directly. Right on, big guy. And it ain't NAWins. Our accents here in New Awlins are a little different as we have French influences, Spanish infuences, African infuences, Carribean patios, even Canary Island wordings. Forgot to mention we speak differently in different parts of Louisiana. North Louisiana is southern. Southwest Louisiana is Cajun. Southeast is a mix of everything. And then there's New Orleans. We do not have creeks in south Louisiana. We have bayous. O'Neil, I think I've heard New Orleans pronounced every way it could be said, and I know you have. It's definitely its own different little part of the south. I love hearing a true cajun accent. Thanks, Art! 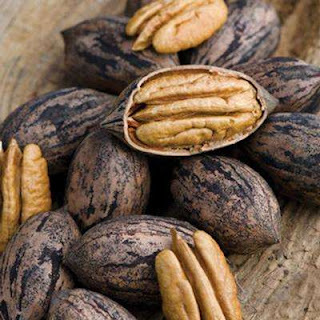 Yep, we need to teach you Tar Heels how to say "pecan" the right way! I heard the difference firsthand a lot at the Raleigh Bouchercon a few years ago, when one of the waitresses said something about their pee-can pie. I think that extends over into Georgia also. Funny how much difference a few hundred miles can make. Congratulations again to you Tara too, on the recent nominations!! With all this to draw on it's easy to see why so many good writers come from the South. It's a crazy place, Janice, and--thank goodness--full of crazy people to use as characters. In Tennessee (where we lived for a few years), instead of y'all, it's you'uns, most often pronounced "yoons". My favorite story from the South is in Georgia (where we also lived for a few years), where someone once asked a friend of mine if she wanted some coke, and she raised up her can of Sprite and said, "I've already got one." My stars, John, do y'all in Mississippi really pronounce dog the same way we did back home on Long Island? How'd that come about? Hey Eve--Most of us down here say Missouruh too, instead of Missouree. And Colorodda instead of Colora--doe. (For some reason, Cincinnati is still Cincinnatee.) I love your Coke/Sprite story. Barb, my great-aunt ALWAYS said "my stars." And yep, we have dawgs and hawgs and lawgs and frawgs, down here. As for Long Island, I'm not surprised they do that right--my all-time favorite writer, Nelson DeMille, is from there, so it's a good place! Really enjoyed this piece. In north FL south GA soft drinks are soda water. We say PEE-cans and Y'all singular is very prevalent. 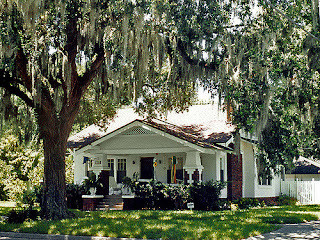 Near by Cairo GA is pronounced KAY-ro. Havana FL is HAY-vana. Anonymous, I knew about the Cairo pronunciation but not Havana. 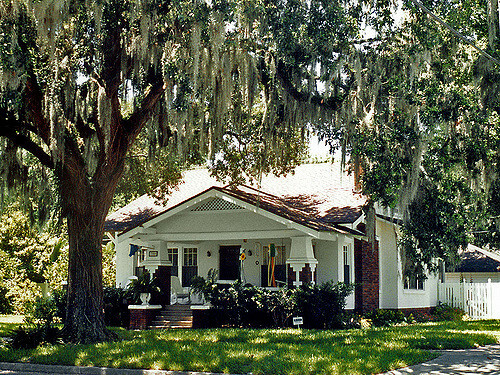 Another place near you is Albany, Georgia, which my relatives in Adel called awl-binny. I have now and then heard the terms soft drink and soda (not soda water) but I've never ever heard anyone down here call it pop. My first time to hear that term was when I spent a few months in eastern Michigan, where EVERYone said pop. I of course thought it was funny and they thought I was crazy for thinking it. I love this sort of thing. I come from New Jersey, and I used to loathe people who would say "Oh, you're from New Joisey." That's a Brooklyn NY, pronunciation (occasionally heard in Hudson County, I admit). If you want to sound like a Garden State native say New Chersey. By the way, it's the third smallest state, but they used to say you could tell which county a person grew up in by asking a few questions: What do you call a small river? (creek, crik, brook, run), What do you call a breakfast food you put syrup on? (pancake, flapjack, griddlecake, etc.) What do you call the night before Halloween? (Mischief Night, Goosey Night, Devil Night, October 30th). What do you call a long sandwich? (Submarine, hoagie.) And so on. Back when the folks first lived in Palestine, Texas, Kiti and I drove down for a visit. For supper that night, Joyce (my new step-mama out of East Texas) served us shrimp etouffee. Having never partaken of that particular dish before, I carefully observed how the rice was placed in the bottom of the bowl and the shrimp etouffee went on top of the rice. It all looked and smelled excellent, so I picked up my spoon and commenced to eat. I was enjoying myself pretty good when Joyce made a comment, and I immediately assumed I’d committed one of them social faux pas. That’s when I found out that a “shovel” is a cracker or piece of bread used to help scoop food onto a spoon while eating. And, yes, I did then accept a shovel. Hey Rob. That's interesting!! NJ might be the third smallest state, but it's sure not the third smallest in population--and I guess all those people make up a lot of different clusters, speechwise. I know that kind of thing is true, probably to a smaller extent, in other states as well. My kinfolks in south Georgia sound a lot different from relatives in other parts of that state, and the same can be said of Florida, east vs. west Texas, and certainly (as O'Neil said) Louisiana. Love that story, RT. I'm not sure I've heard it called a shovel, but I've heard it called a pusher. And it does make eating easier. For a primer on East Texas dialect, read any story or novel by Joe Lansdale! "NJ might be the third smallest state, but it's sure not the third smallest in population-" We used to say that NJ had the densest population, which can be interpreted several ways. I remember, from the time I spent up there with IBM, that it was a beautiful state, but that the distance BETWEEN populated areas always seemed fairly small. I'd be out in the "country" one minute and just up ahead would be another town. Aa you said, a lot of folks for a pretty small area. As for the other meaning of population "density," I suspect a lot of states qualify, there. My daughter & I used to watch "Dallas" together when she was in preschool or kindergarten. In her mind, she combined two characters, Miss Ellie & her daughter-in-law Sue Ellen, into "Miss Sue Ellie". A little boy I knew here in Buffalo used to call me Elibizif, or "Mibizif" for Miss Elizabeth. Around here, the way to terminate a phone conversation is, "I'll holler at you later on!" And it's good to learn that northerners "holler" at each other to keep in touch. "Give me a holler," is a common expression down here. As Rob said, I love this kind of thing. I've lived a great may places over the years (various parts of Ohio, California, Washington, Illinois, Mississippi, Texas), so I've been exposed to a wide variation in slang. Though I've been in Texas long enough to have picked up some local terminology, my accent clearly isn't Texan, and I'm often asked where I'm from. "Everywhere" never seems an acceptable answer. One difference I did notice when I moved from Mississippi to Texas: In Mississippi "y'all" always seemed to be a plural. I have been assured that in Texas (though perhaps not throughout the entire state), "y'all" is singular. The plural is "all y'all." Hey Michael. Maybe variety iS the spice of life. Yep, in Mississippi y'all is always, always plural. Here, "all y'all" means more than just a few people. In your case, "everywhere" SHOULD be an acceptable answer! I know when I was a little girl and visiting my mother's Kentucky hometown, there were two spinsters, who I was carefully taught to call Miss Fan and Miss Icey. John, my dad was born in Amite. Nice to see it referenced here. And I concur with your pronunciation of pecan. Temple, there's street here in Jackson named Amite, and folks who've lived here a long time still manage to pronounce it wrong. The late comedian Jerry Clower was always talking about Amite County, where he was born. I suspect your dad grew up among some interesting folks, down there. Well dang. If I known you'd be writing, I might have made an inferior attempt with Hoosierisms (Indianaisms), which considerably overlap Southernisms for some reason. My mother did indeed use the word 'crick', but mainly when she was having fun with city folks. Indiana folks indeed chuck stuff out windows. I'm not sure if you were being polite, but usually the object in that poor expression is a pot. Those that know what we're talking about know, and those who don't don't. Speaking of geographic pronunciation, you nailed Kissimmee. Visitors regularly mispronounce Kissimmee's Lake Tohopekaliga. Remember, the 'pekaliga' is silent. Also, Floridians don't know how to spell it and are too embarrassed to mind who calls it what. Kentucky's largest city (and not its capital), is pronounced Lua-vul, not Louie-ville and not, as an airline pilot once said, Lewis-ville. But it's not merely the South… Bostonians pronounce the local town of Peabody so it sounds similar to Puberty. John, I have to share this with my friend Geri. She still has her soft, Mississippi accent and all that lovely graciousness. Lord o' Mercy, look at the time. John, I've previously mentioned the little village of Arlington, Indiana pronounces the word 'whore' as 'hu-er'. I thought that odd in that little pocket of Rush County, but years later, I learned that was the original English pronunciation. Looking at North Florida Anonymous comment, I haven't heard of soda water, but Indiana has soft drinks, New York has soda, and, hold on– Massachusetts says tonic. Now factor in all the names for sub sandwiches– hero in New York, grinder in Boston, etc. Mississippi counties are another story altogether. We have Tishomingo, Itawamba, Oktibbeha, Yalobusha, Issaquena, etc. Leigh, I sold a story to an anthology, edited by a fellow named Michael Bracken, in which the puzzle resolved around a man from Seattle supposedly telling a store clerk to put the soda in a bag, when of course he would have said "put the pop in a sack." That story was about my Atlantic City private eye Marty Crow. Another of his adventures (which appeared in AHMM) was based on the fact that the name of Mauricetown, a small community in southwest New Jersey, is pronounced the same as Morristown, a sizable city in the northern part of the state. And as for pilots, when one says "Welcome to New York's Newark Liberty Airport," I have been known to shout "IT'S IN NEW JERSEY!" Rob and Leigh, many years ago our daughter attended a summer camp in upstate Michigan. Among the instructions she received beforehand was the statement "Don't bring pop." She didn't know what they were talking about--were they telling her not to let her dad come along? The whole soda/Coke/pop thing can get a little funny at times . . . Rob, it sounds as though you've been able to at least sell a couple of stories using this subject. "...and Illinois has a Cairo that's pronounced Care-o..."
Uh, nope. It's KAY-ro, like the syrup. At least where I've lived in Illinois. Indiana also has a Ver-SALES. Also Lafayette (Indiana) is pronounced LAF-A-ette. As in a lot of places, a carbonated soft drink is a coke. Hey Don--Thanks, I was trying to say the same thing you are, but you said it better. I too have always heard it pronounced like the syrup, and KAY-ro probably represents it better than CARE-o. My point is, it's not pronounced KI-ro. Down here in Mississippi, our Lafayette place names are usually la-FAY-et. Go figure. I like that, Rob! Well done. Hey Jeff--bless your heart! Yep, as I understand it, the Arkansas river is the ar-KAN-sas in Kansas and the AR-kan-saw in Arkansas and Oklahoma. I live in the Norfolk, Virginia area and we can always tell when a speaker is not native. It's subtle. You don't pronounce the L but if you simply leave out the L it sounds like a bad word. You don't pronounce the R but to turn it into AW is a dead give away that you are from elsewhere. That's a touchy one, Maria. What you've said is the way I've always heard to pronounce it, but I've never been sure.